Speakers know their content on stage. 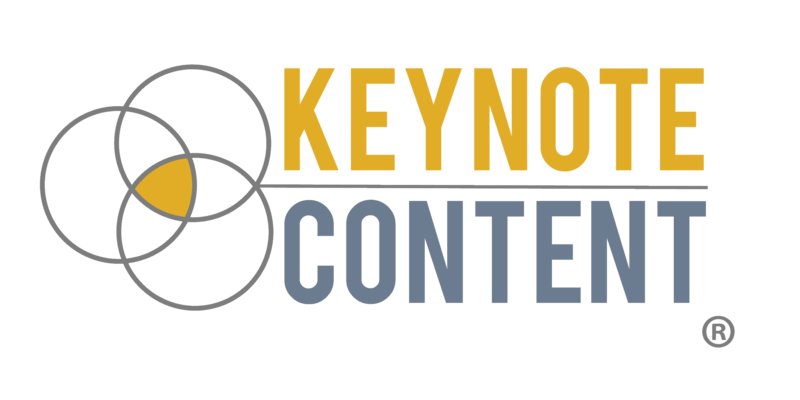 Keynote Content creates the right content to grow your message before and after you step on stage. LinkedIn is the largest professional network in the world. Your message is stronger if your audience can see your expertise online. Keynote Content can create or revise your LinkedIn profile to match your message better than anyone else. Having a published book can give immediate legitimacy to your message. We've written several books for clients (and our own staff) ranging from 50 pages to 200+ pages. Let us help you get your message on the page for the world to read. I want to talk about my next book. Your new feature bio can be used for speaker kits, media packets, conference programs, and book covers. Keynote Content can create a fresh and engaging feature bio that reflects your expertise and personality. I need a new feature bio. One of the best ways to scale your message beyond the stage is to create a value-driven online course. We can help you map out and create the right content for your next online course. I need online course content.